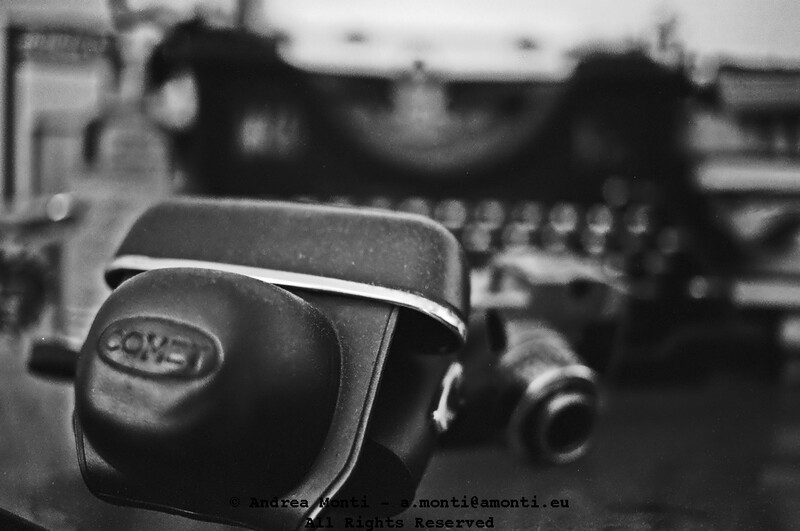 On July 2014 the Polizia Municipale of Rome seized a street-photographer ‘s camera, but the Court bashed the seizure. Here is an A4 leaflet useful to stand your ground if your street-photography work is questioned by somebody else. As there are few texts in English dealing with (street) photography and Italian laws, I’ve decided to put my lawyer‘s hat and sketch some toughts on the two main topics involving the Street-Photography: shooting candid and publishing them online. (online) publishing is allowed with the same limitation. The Street-Photography in Italy should be a pretty straightforward activity, but actually is not since there is a widespread negative attitude towards those photographers that, being mere mortals, do not belong to the “Olympus” inhabited by Cartier-Bresson, Capa, Frank, Maier and other of their peers. In other words, it would be easy for the likes of HCB, if caught in “the moment”, to explain who he is, and why is he taking a picture. On the contrary, it would be a lot harder for an unknown photographer, when confronted by an angry passer-by, to provide evidence of “cultural” or “artistic” interest in his hip-shooting. The clash between the right to take pictures in public places, on the one hand, and, on the other, the (often mistaken) right to ownership of the personal image together with the (even more mistaken) right to “privacy” is not peculiar to Italy, but Italian law does have certain peculiarities of which a casual street photographer should be aware when traveling around this country. But please – reader – take into account that what follows is a general account, and as such it may need to be adapted to the specific circumstances related to the time, space and place of the photography in question. Photography, as such, is protected by the Italian Constitution. The private entrepreneurship is free. It cannot be carried contrary to the social needs o in such a way to damage safety, freedom and human dignity. The infringement of personal privacy is the usual “leverage” – club – that the portrayed person uses to prevent the photography or ask for its deletion. Although this is a fairly common situation, not only in Italy, there is very limited power under the protection of privacy to stop casual street photography. First it is important to understand that privacy as such is not protected by a specific section of the Constitution, but such protection can be claimed by combining a few constitutional provisions: the first is Sect. 14 that protects the inviolability of the private home and that is connected to Sect. 615 and 615bis of the Criminal Code (in short, an “anti-illegal searches” in private homes, and an “anti-paparazzi”provision).The second is Sect. 15 that protects the inviolability of both the personal correspondence and the communications. A third party violates privacy and is a crime under Sect 615-bis Criminal Code, if the object of the photograph is conduct hidden from normal visibility , since the protection of the private space is granted only to what is done in such conditions that are not visible to the general public. Thus, if an event happens in a private place but can be freely seen without particular means (telephoto, for instance – n.d.a.) the owner of the private space cannot reasonably expect his privacy to be respected. It is necessary to balance the privacy need (rooted into the Constitution as expression of the individual personality and as protection of private space …) and the natural compression of this right is derived from the specific factual situation or, furthermore, the tacit – while non equivocal – withdrawal of this right, as happens in the case of a person that, while using a private space, locates himself in a position that renders him visible to a plurality of persons. Having attention focused upon you or being subjected to uninvited intrusions upon your solitude are objectionable in their own right, but our concern for the individual’s privacy in these circumstances is strongest when he or she is engaged in activities which we would normally consider private. The Peeping Tom is more likely to affront our conception of what is ‘private’ than someone who follows us in public. Thus, to summarize the point: as soon as somebody is in a public space and the photography “sees” what the eye does, there is no reasonable privacy expectation. Should we stop here, indeed, no profit Street-Photography would look like a perfectly legal activity in Italy; but now comes the tricky part: what about data protection rights? Again, the question is not peculiar to Italy, but the answer actually does. the first is that data protection “means” privacy. This not true because, as is apparent from reading the relevant EU directives and and the interpretation given by the Court of Milan back in 1999, when we look at the data protection provisions, we must bear in mind that we’re not talking about privacy as an absolute right, but of a “lesser” right aimed at granting a fair handling of personal data on a “need-to-know basis”. It comes from above that the “lesser” rights granted by the Data Protection Act cannot overrule the Constitutional rights. Thus the Data Protection Act cannot be invoked to prevent a photographer to exercise his constitutional prerogatives. the second is that IDPA’s provisions are “absolute” and supersedes all of the other rights granted by the Constitution. This would be wrong even if data protection were clearly set among the Constitutional Rights, because every single right – including the protection of human life – has to be balanced against the others. Thus it would have been impossible to configure an intrinsic and absolute superiority of privacy – let alone data protection – over the set of the remaining constitutional rights. But this is a fortiori a mistake since the right to data protection it is not recognized by the the Constitution, and thus cannot prevail over what the Constitution says. The problem when moving from legal theory to real life, is that the mistaken meaning of the IDPA and the approach of the Italian DP Commissioner is clearly aimed at enforcing the IDPA well beyond its original scope. While being aware of the legal subtleties of the topic, the DP Authority tries to push as far as it can the limit of its jurisdiction by releasing public statements that corresponds to its “personal” view instead of what the law actually provides. Q. Does photography falls within the scope of the IDPA? A. The Data Protection Commissioner think so, thus a photography is supposed to be “personal data”. Q. Is a photographer subjected to the IDPA? Q. Is there any exception? Q. Is a photographer required to get a prior consent before shooting candid pictures? A. Complex answer. If the photographer shoots for personal use, no, otherwise – accordingly to a strict and (incorrect) interpretation of the IDPA – yes. Q. What about constitutional rights, freedom of expression, etc. etc.? A. That’s the point. If data protection is a “lesser right” then it cannot be enforced so as to undermine a constitutional right, and the IDPA can’t be used to stop public place-casual photography. But since there is no specific case law on the topic, there is no way to be sure of being on a safe ground until a court expresses its opinion. Q. Has the DP Commissioner issued an official statement on shooting people in public spaces? In this case, too, the journalist must nevertheless make an assessment on a per-case basis, taking into account the journalistic context and the subject of the news. For instance, the publication of a picture of an elderly person, clearly identifiable, shot in a street market while purchasing goods, might not be appropraite if the purpose is to illustrate the point of the elderly individual’s loneliness, and thereby infringes his dignity. The position is otherwise if the aim of the article containing the picture is to celebrate his longevity! Furthermore, when documenting with pictures news occurring in public spaces the journalist and/or the photographer must assess the way they frame the news, avoiding a focus on a specific person or on specific details if its sharing is not relevant to the article. Q. Is the DP Commissioner right? First: the DP Authority has no jurisdiction to declare how a photo should be taken. Both the Constitution and the Criminal Code already set these (reasonable) limits so and, as long as a crime is not committed, a photographer is free to use whatever technique he likes, even “undercover”. Second: for the very same reason just explained, the DP Authority has no jurisdiction to tell a photo journalist how he should present his pictures. Third: it seems that the DP Authority wants to allow the freedom to shoot pictures to photojournalists only, but photojournalists aren’t the only persons who take pictures, since the Constitution grants this right to “WHOEVER” wants to use a camera. Q. What about the non-journalist? A.Again, non professional photographers are not subjected to the IDPA. Professionals non-photojournalists should be granted the same (apparent) “freedom” reserved for photojournalists. Q. Why, then, Google Street-View blurred car’s plates and people’s faces? A. You’d better ask Google. My opinion is that instead of facing the risk of trials, questionable verdicts and bad media coverage – with all its implications – Google just opted for a pragmatic alternative. At the end of the day, Google is a company and not a civil rights NGO, isn’t it? The Italian Copyright Act (L. 633/41) contains a legal definition for the word “photography” and regulates its taking, handling and exploiting. Under this law, as odds as it may seems, a photography can be “artistic” (thus entitled to full protection under Sect. 2, Para 1 n.7 of the Copyright law) or a simple reproduction of things, documents, writings, technical blueprints et similia. no economic gain is obtained by way of publishing the picture. There are, anyway, two very old and rather odd decisions (Tribunal of Milan, 1954 and Pretura of Rome, 1977) that stand for a dissenting opinion: if the portrayed person is mainly in foreground so that everything else disappear (like often happens in street-photography, my remark) then the publication is not anymore allowed. Since there are six different law enforcement agencies (of which two are local, reporting to the mayor or to the president of the province) in Italy, sometimes it can be difficult to understand who – and under whose authority – is questioning you, so let’s start with the list of the police forces currently on duty. 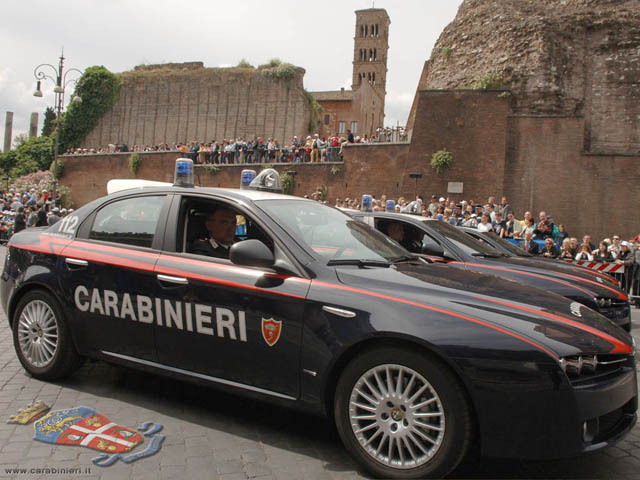 At local level, every town has its local police (polizia municipale and polizia provinciale) that mainly deals with administrative issues (traffic fines, business authorization check and so on). Usually, a local policeman is not granted the legal status of “public security officer”. This means that wearing the uniform (and sometimes a gun) doesn’t necessary gives him the power to question a citizen for allegedly having committed a “photo-crime”. Unless you’re committing a criminal offense or involved in some actual suspicious activity (e.g. shooting at military premises, that is forbidden) none of these request are legitimate (but if you come from outside the Schengen circle, you must show your passport and the permit-to-stay or the visa). Please bear in mind that if you choose to stand for your rights, you must expect to be taken in temporary custody and led to a police station where you may rest for a whole day (not in jail, anyway), waiting to be questioned. If you are taken to a police station just because the agent is not able to sort out your position on the spot, you’re not “charged” or “arrested” so you don’t have the “right to place a call”; nevertheless is a good idea to have at hand the phone number either of the local journalist association or just of the local chapter of the FIAF (Federazione Italiana Associazioni Fotografiche) a nation-wide amateur photographer association that might provide some help. Once in front of the officer that is going to question you, if you don’t speak Italian it is better to state it clearly from the beginning: “non parlo Italiano” (I don’t speak Italian), “non capisco quello che dite” (I don’t understand what you’re saying), “non so perché mi avete portato qui” (I don’t know why you’ve taken me here), “chiamate l’ambasciata” (call the embassy.) And even if you’re able to manage yourself with the language, it is strongly advisable not to try to stand on your own. Be sure to have all put into the official transcript and get a copy, because, just in case, this will be the main evidence for building a case against the municipality or the police authority involved. the IDPA, on the contrary and until case law says something different, can be interpreted so that is possible to prevent a photographer to do his job, while leaving the “amateur” free from any legal encumbrance. But the real problem with this legal approach is when it comes to real-life. Italians might become very touchy when shot candidly, no matter what the laws say, so will (largely untrained for this purposes) policemen asked to intervene. These latter will on first instance back the people’s claim by trying to blame the photographer. And since a trial, in Italy, takes years to reach its conclusion, the option of being investigated in this country is largely to be avoided. Briefly, therefore, the law stands fairly enough by the photographer’s side, but too many of those who are entitled to enforce it, fail to do so. * All the English translations of the statutes and the court decisions mentioned in this post are made by me and – therefore – cannot be considered “official”. 13 Responses to "Italy, Street-Photography and the Law"
Thank you much for usesful information. You mentioned that “shooting and publishing candid pictures is legal under Italian laws as soon as they are taken in public spaces, non for profit … “, I would like to know selling prints of street photography is autorized or not! I am waiting for your printout in Italian; as a forigner student in Italy I do like to take photos without haveing trouble with autorities! Cool. That would be great! Well, the printout is definitely one of the things I have in my backlog. As soon as it will be ready, I shall let you know. Living in Italy for a few years now and street photography is a somewhat passion for me but some days become quite soured when confronted with a few members of the public arguing that my taking of photos is not legal. All of these situations have been in public areas and I had not been harrasing or openly disturbing anyone. I try to be polite and point out that I am not breaking any laws but people are generally adamant that I am. Several have threatened to call the Carabinieri and on my insisting that they do have generally backed down, so I haven’t yet had any dealings with the police, not that I would want to! Now what I would like is a printout stating my rights in regard to Italian law and photography in a public place (in Italian). Something to produce, if stopped by an irrate person or uninformed police officer. Is there anything online? For the life of me, I can’t find any specific law or regulation about this. In Denmark you are allowed to photograph what ever you want in the public space, there are a few restrictions in trains and busses, but supermarkets and shopping centers are allowed, even when there are no photography stickers. There are limitations to what you can post on the internet. They are two seperate laws, dealing with two seperate issues. A group of documentalists from Christiania, are following the police work in their neighburhood in Copenhagen, very closely. And where the founder of the group, Jorn Balther, when he started the project, years ago, often had his equeptment confiscated, and faced several charges. He was eventually exonerated. Over time the police have come to accept, that they can not legally threaten or demand people not to photograph their actions. The law is clear, and the courts follow the law. The Christiania project can be found on youtube. That’s a clever trick I never thought of! I’m afraid your deadly right. It seems that we – Italians – are developing a “new” sense of privacy misinterpreting the Seneca’s quote “you can be alone even in the midst of a crowd”. And, again, I do agree with you: usually nothing happens to a street-photographer but when things turn into bad, there will likely be a confrontation with a possibly untrained policeman. It sounds like Italy is going down the road of forbidding street photography. Despite what the correct interpretation of the law is, once strange ideas like whether a photo of an elderly person is about his loneliness and dignity or about celebrating his longevity, the photographer is faced with a situation where he never knows if he is in the clear. Further, if police are disposed to detain casual street photographers upon the complaint of the subject, or worse yet, a bystander, there is no safety for the photographer. The reality is on two trips to Italy I shot on the street like mad and nothing happened. A lot of the EU is much worse where the those in France, Norway, Germany and Denmark are protected from the “indignity” of being photographed without their consent. All of this is because of the ease of publication on the internet. I love to travel, but if this trend keeps up I will spend my travel dollars at home in the US, Latin America, Africa and Asia and let the EU have it’s merry party of illusionary privacy. I have had one instance, in my native Denmark, where one high ranking police officer threatened to take my camera and format the card, if I didn’t delete one image. I deleted the image, and later recovered it with file recovery software. He didn’t know the law, and while he spent a long time in the car conferring with headquarters, I had a good talk with two assistants, and they agreed with me, that I had done nothing wrong. But my suggestion to all who do street photography, print out the law in the area you are working and present it whenever a situation arises, it is more effective than trying to convince the officers that you know the law. And if they still insist, delete the images, change card, and recover them later. Even a formatted card can be recovered with free software. You scored a very good point. Unless there is a true merit in taking a specific picture there is no point in raising arguments with (often legally illiterate) policemen, in particular when they belong to Polizia Municipale. Their training doesn’t include a thorough knowledge of civil and criminal law. This one is the first of a series of posts related to the topic of doing Street-Photography in Italy and in the very next future I’m going to examine specific issues such as those you mention. I’ll drop you a mail as soon as it’s done. I am a professor of photography here at Washington University in St. Louis, Missouri, USA and have been teaching photo students from our program here in St. Louis photography in Florence, Italy since 1990. I recently read your article about the legal aspects of street photography in Italy. It was very informative and I wanted to thank you for your efforts. My advice to my students, and its the same in New Orleans or Florence, when the police ask you to move along, the only correct answer is “Yes Sir”, unless you want to spend time in the station house. Some years ago, one of my students, too smart assed for his own good, photographed two Polizia Municipale after being told not to. He literally spent the evening in the back of their police car as they completed their shift driving around Florence just to prove they could. After I think it was 4 or 5 hours, they just let him go, but they made their point. Thank you for a very useful and in-depth article. I’ve shared it with my social networks. Do you have any additional insights with respect to photographing minors and publishing their photos?